2.When you receive the product,we will help you activate it to relieve the IP limit.Please send your SN,languages, country to us,it will take about 3 days to activate it. 5. Free update online for 1year after you activate it. Good News : X431 V is with 2 year free update Now !!! 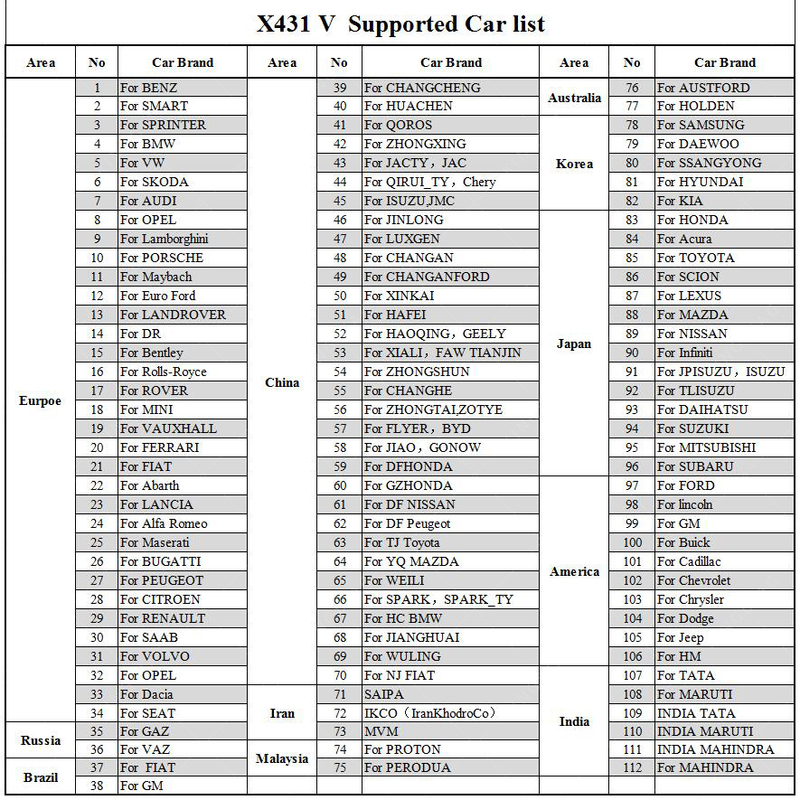 Through the Bluetooth communication between vehicle diagnostic connector and variant mobile intelligent terminals , is achieves X-431 series full car model and and full system vehicle trouble diagnostic which includes Reading DTCs, Clearing DTCs ,Reading Data Stream , Actuation Test and Special Function . 12.Other Additional Functions: Alarm, calendar and calculator etc. 13.Applications: Other android based applications can be customized to install or uninstall.